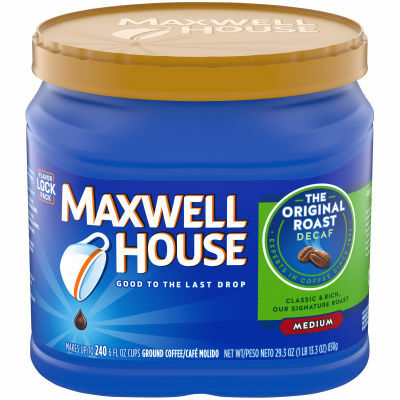 Decaf Original Roast Ground Coffee - Shake off morning sluggishness and start your day on the right foot with a cup of Maxwell House Decaf Original Roast Ground Coffee. This robust blend has a classic taste and rich aroma that will boost your energy so you can take on the day. Brings Out the Best - Give yourself the benefits of drinking coffee without the side effects of caffeine with Maxwell House Decaf Original Roast Ground Coffee. Perfect as a wake-up drink with breakfast or a nightcap before bed, this delicious decaf coffee has a warm, comforting taste you're sure to love.